Friends of The Mount Prison encourages involvement between the prison and the local community of Bovingdon. Friends has recently been set up by volunteer Kim Hobbs, staff from the prison and RoughStuff. 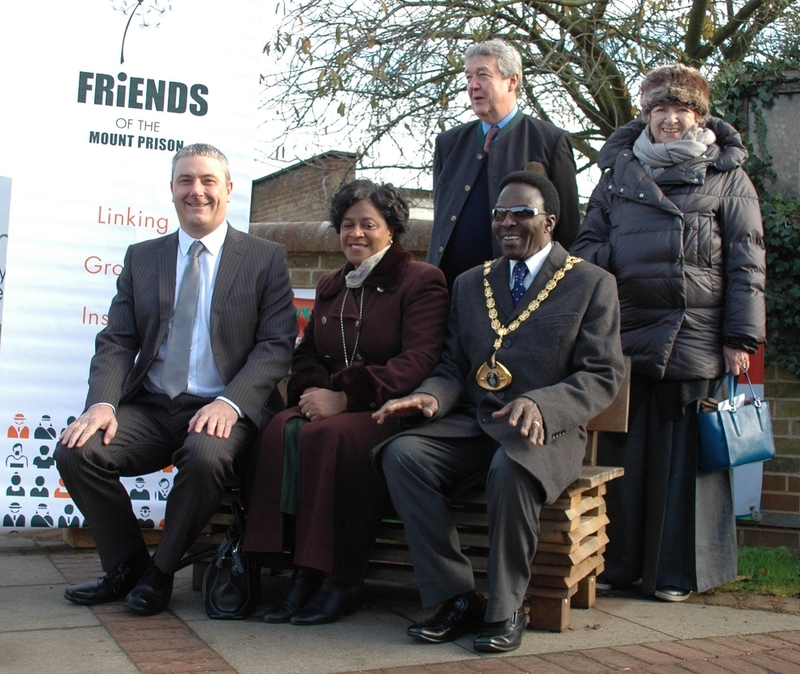 Governor Steve Bradford and patron of HMP The Mount Lord Charles Cecil revealed the new bench. They talked about the benefit of Friends of The Mount Prison to the inmates and local communities. Friends of The Mount Prison actively gets involved with companies like RoughStuff, who work with the prison to make beautiful worthwhile products that locals can enjoy. RoughStuff works with the Mount Prison to design and manufacture oak food boards for the food service industry and park benches for local councils. The benches are handmade by inmates of HMP The Mount using English oak. The oak benches look just as fantastic in a local high street as they do in a country park. RoughStuff aims to get every council in the country to use its prison manufactured benches so everyone can benefit from and appreciate the positive rehabilitation work done in our prisons.